At Effwa, we are proud to be led by a Woman of Substance. 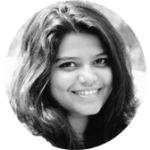 A passionate researcher and entrepreneur at heart, Dr. Varsha Kamal (Director, Effwa Infra & Research Pvt. Ltd.) has made several significant contributions to the field of innovative environmental engineering. Today, she leads an engineering powerhouse, Effwa, making it one of the most reputed brands in the country dedicated to the environment. 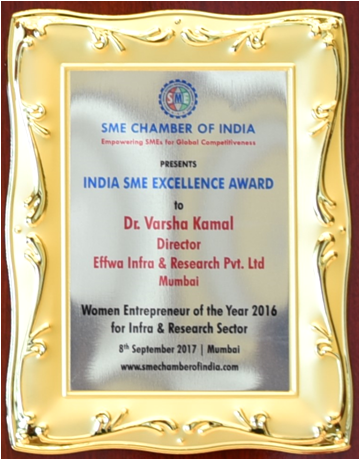 Recognising the impact created by her through her rich experience of over 3 decades in the field, The SME Chamber of India has awarded Dr. Varsha with the Woman Entrepreneur of the Year Excellence Award, 2016. 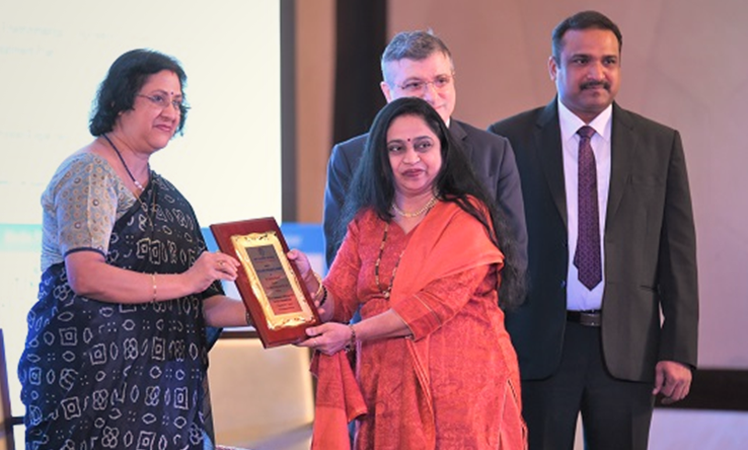 The award ceremony was graced with the presence of Mrs. Arundhati Bhattacharya, one of the most powerful women in the world (listed by Forbes in the year 2016). Mrs. Arundhati congratulated Dr. Varsha on her significant contribution to the Infra & Research Sector dedicated to the environment. As we scale new heights each day as an organisation, this achievement shall remain as a reinforcement to our promise to deliver the best services to our clients always. We would like to take this opportunity to thank all our clients for being a part of our success story.